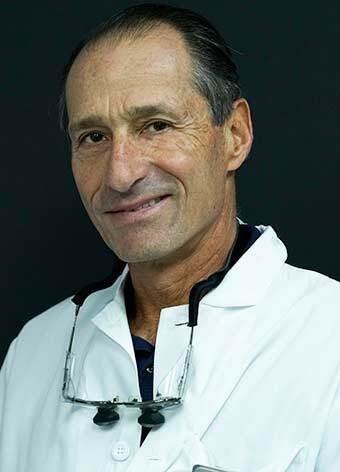 Dr. Jonathan Bamel graduated from the Boston University School of Dental Medicine in 1983. He spent the following year at the Long Island College Hospital in Brooklyn to complete his residency program. During that residency, he received extensive training in dental surgery and endodontics (root canals). Upon returning to Boston, he opened his private practice in association with Dr. Walk in Newton. Dr. Bamel taught at the Boston University School of Graduate Dentistry from 1985 to 1995 as a clinical instructor for restorative dentistry. Although Dr. Bamel spends much of his time doing cosmetic dentistry, he has spent the past 15 years at the cutting edge of implant dentistry. He finds it quite rewarding to replace teeth for patients with dental implants when false teeth would be the only alternative. His kind, sensitive, and efficient treatment of his patients has built a wonderful family dental practice. Dr. Bamel lives in Newton with his wife Monique (also a dentist) and their three children. He is very involved in the community and contributes both his time and money to many charities. When he is not on the field coaching one of his kids’ sports, he plays tennis and golf and enjoys travel and wine. Dr. Bamel belongs to numerous organizations, including the American Dental Association, the Massachusetts Dental Society, and the Periodontal Associates Implant Study Club. © 2019 Cosmetic Dentistry Center. Site design, development and marketing by AdviceMedia.